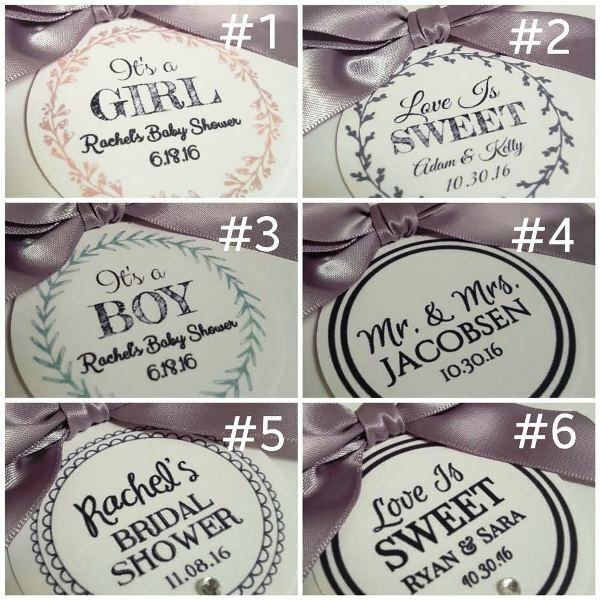 Custom Tags are an additional .25 each. Let us know if you would like to add them to your order. We can customize whatever text you'd like. Border colors for the Baby Shower tags are as shown. All other borders and text are in black, grey or Brown. We can print on White or Cream cardstock.